The Dallas Police Department is asking for the public’s assistance to help identify a robbery suspect. On September 14, 2017, at 2:00 p.m., the victim was robbed at gunpoint in the 5800 block of Highland Hills Drive. The suspect and the victim met through the social media app 5miles for the sale of an iPhone. The victim was not injured during the commission of this offense. The robbery is documented on case number 210573-2017. The suspect is described as a Black male, 5’08”, 180 lbs, 18-25 years of age. The suspect was last seen wearing a white tank top and black pants. Anyone that recognizes this suspect, or has information on this offense, is asked to call Detective Stokes at (214) 671-3444. If you wish to remain anonymous, you may call Crime Stoppers at (214) 373-TIPS (8477). The Dallas Police Department is requesting the public’s assistance in identifying the suspect pictured above. On Tuesday, August 30, 2016, at approximately 11:30 p.m., the suspect forced entry into the Bob Davis Fish Market located in the 2500 block of 2nd Avenue. The suspect appears to be a Latin male, heavily tattooed, with “EAST DALLAS” written across his back and two solid stars on his upper chest. The suspect may be in the South Dallas area of 2nd Avenue and Metropolitan Avenue. This offense is documented on Dallas Police case number 209579-2016. 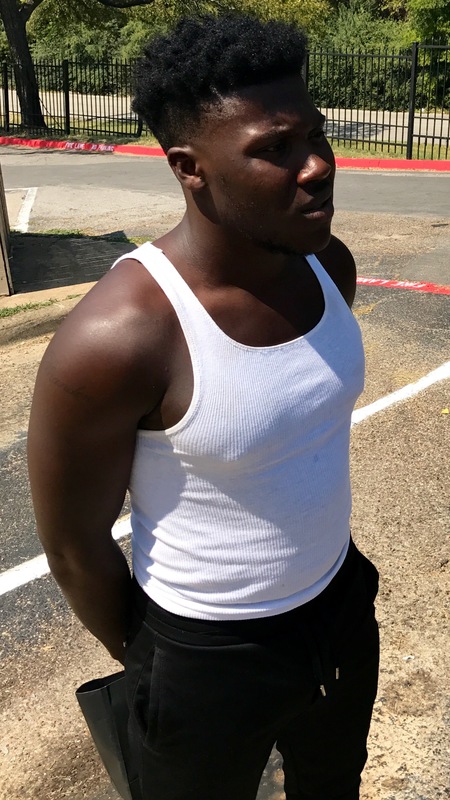 Anyone with information regarding the identity of the suspect is asked to call Detective T. French of the Dallas Police Department Southeast Investigative Unit at 214-671-0112. The Dallas Police Department Property Crime’s Division is seeking information regarding a Burglary of a Habitation offense that occurred August 31, 2016. On August 31, 2016, at about 9:55 a.m., a Black male suspect who appears to be in his mid to late twenties, rang the doorbell of a home on Alta Vista Lane. When the suspect was certain no one was home he went to the rear of the residence and pried open a sliding glass door, entered, and took property. The suspect was wearing a work crew’s yellow reflective vest, cargo pants, light blue shoes and a baseball cap. The suspect was possibly driving a silver Chevy Malibu. This offense is documented on case number 209699-2016. If anyone has information regarding the identity of this suspect, or this offense please contact Detective Allen of the Dallas Police Department’s Northwest Property Crimes Unit at 214-670-6044. The Dallas Police Department is seeking the public’s assistance regarding information for the offense of Burglary of a Motor Vehicle which took place July 1, 2016. On July 1, 2016, the victim withdrew $4,100 cash from his bank located at Forest Lane and Interstate Highway 635. He then drove a short distance (5 minutes) away to an apartment complex located in the 9000 block of Markville Drive where he parked his vehicle near the front office. The victim left the US Currency in his vehicle console and went inside. While inside the apartment office a video surveillance camera captured a suspect vehicle, a Nissan Rogue Texas plate HDT8139, pass by the front office, turn around, and enter the parking lot as the victim exited his vehicle. After the victim went inside, the suspect vehicle drove behind the victim’s vehicle, a suspect exits, enters the victim’s car and then fled the location with the victim’s money. It is believed that the suspect followed the victim from the bank to the offense location and committed the offense Burglary of a Motor Vehicle. If you have any information regarding this offense or the suspect vehicle please contact Detective Winkle at 214.671.0165 or Stephen.winkler@dpd.ci.dallas.tx.us. This offense is documented on case number 159356-2016. The Dallas Police Department is requesting the public’s assistance to help identify two suspects responsible for a Burglary of a Coin Operated Machine. On May 4, 2016, officers responded to a call for police at 8300 John W. Carpenter Freeway at the La Quinta Inn regarding a burglary of a coin operated machine. Officers were informed by an employee that the offense occurred on May 3, 2016, and the suspects were captured on surveillance video. The video revealed two male suspects who appear to be in their mid to early 20’s entering the La Quinta Inn. Once inside, the suspects in the video went to several floors, and were able to force entry into several vending machines, taking U.S. currency and causing damage to the machines. If anyone has information regarding this offense or knows the identity of the suspects please contact Detective Allen of the The Northwest Investigative Unit at 214-670-6044. On April 26, 2016, at approximately 6:10 a.m., officers responded to a call of a theft in the 300 block of N. Bishop Avenue. The suspect entered the business pretending to be a customer. He then left the location and came back a few minutes later. The surveillance camera at the business caught the suspect taking the property. If you recognize this person or have any information regarding this theft, please call Southwest Investigative Unit Detective T. Cleary at 214-670-7470. The quick response of Northeast Patrol officers and a vigilant neighbor led to the arrest of multiple suspects in a residential burglary on Tuesday. On March 15, 2016 at about 2:30 p.m., officers responded to the 1500 block of San Saba Drive for a call from a witness stating that her neighbor’s house was being burglarized by three Latin males. The witness was able to give the officers detailed physical descriptions of the suspects and their get away vehicle. The responding officers were then able to stop the suspect vehicle down the road and recover the victim’s stolen property. One adult suspect was arrested for Burglary of a Habitation and transported to Lew Sterrett Jail. The other two juvenile suspects were arrested and transported to the Henry Wade Juvenile Detention Center. Thank you to the Northeast Patrol officers for working hard and keeping Dallas safe! Keep Your Hands Off My Wallet! 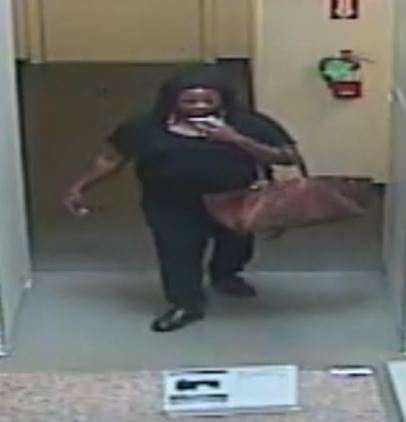 The Dallas Police Department is asking for the public’s assistance to help identify a theft suspect who took a victim’s wallet. On January, 31, 2016, a Black female took a wallet from a customer at the Catfish King located at 6940 Cockrell Hill Road. The Suspect then went to a nearby Office Depot and made purchases with one of the victim’s credit cards that was in the stolen wallet. This offense is documented on case number 024926-2016. If you have information regarding this offense or the identity of this suspect, we ask that you contact Detective Cleary or the Southwest Investigative Unit at 214-670-7471. See the video below. The Dallas Police Department is seeking the public’s assistance in identifying the burglary suspects seen in these images taken from the surveillance video. Also, please see the surveillance video of the suspects. On Monday, February 15, 2016, at approximately 3:45 am, the suspects forced entry to the Metro PCS located at 1512 S. Beltline Road. This offense is documented on Dallas Police case number 005117-2016. Anyone with information regarding the identity of the suspects is asked to call Detective French of the Dallas Police Department Southeast investigative Unit at 214-671-0112.